After five tempeh meals nearly in a row, could you believe that I’m not sick of tempeh yet? Crazy! I’m actually a little sad I’m on the last of my tempeh haul, but it’s been so much fun trying and getting creative with so much Lightlife tempeh. 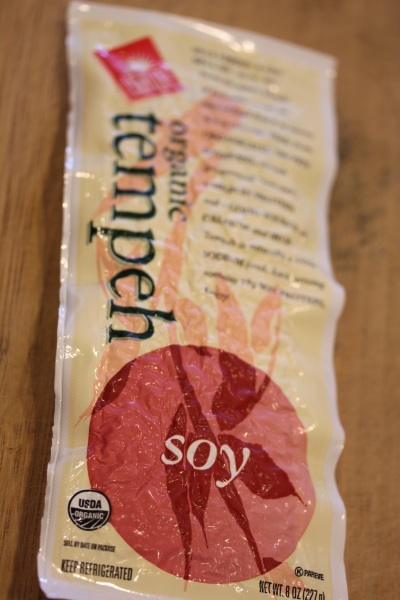 Tonight I just have the Lightlife Organic Soy Tempeh left to work with and it’s plain ol’ tempeh, or tempeh in it’s purest form according to the site. The texture is more thick and solid compared to the other varieties I’ve been trying. 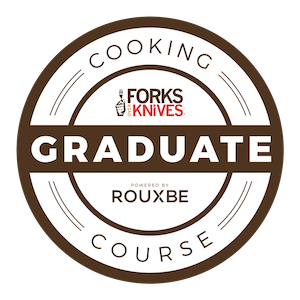 It’s harder to crumple, but great for cooking and grilling without falling apart. After a busy week, I’m lacking in the recipe inspiration department. 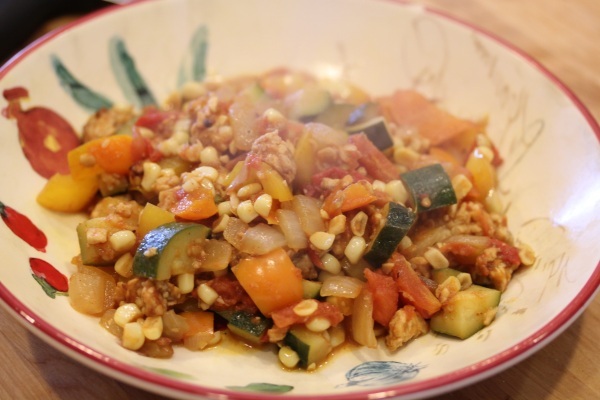 So I hit the Whole Foods recipe site for ideas and, even though it’s sunny and hot today, this Tempeh Bell Pepper Chili recipe appealed to me. Go figure. But I didn’t have canned beans or the time to soak dried for the chili. 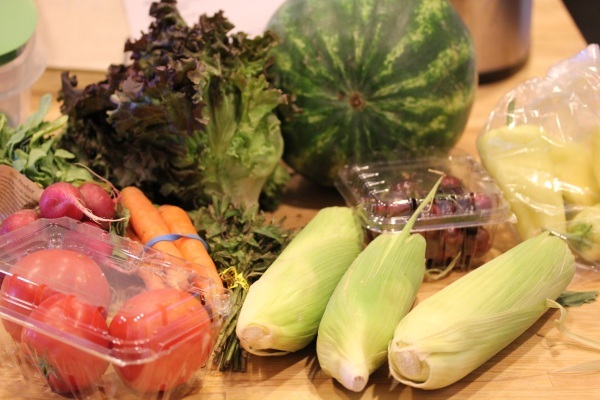 I did have a huge veggie stash from this weeks farm box. 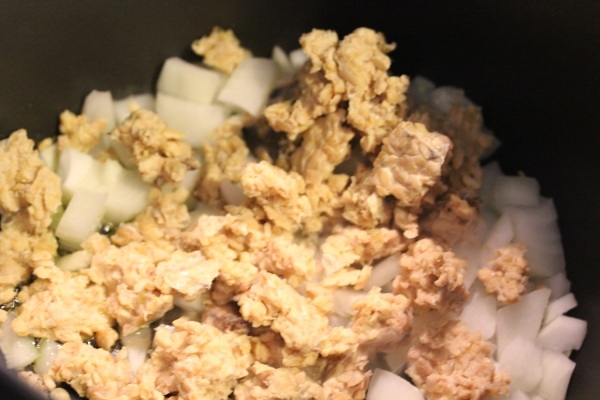 I crumpled the soy tempeh and sauteed it in a large soup pot with the chopped onion for about 5 minutes. 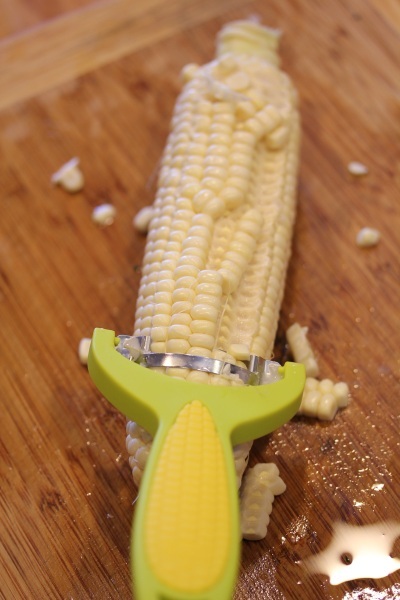 While I used my trusty corn zipper to strip fresh corn. Then added the rest of the ingredients into the soup pot with maybe a splash of red wine. 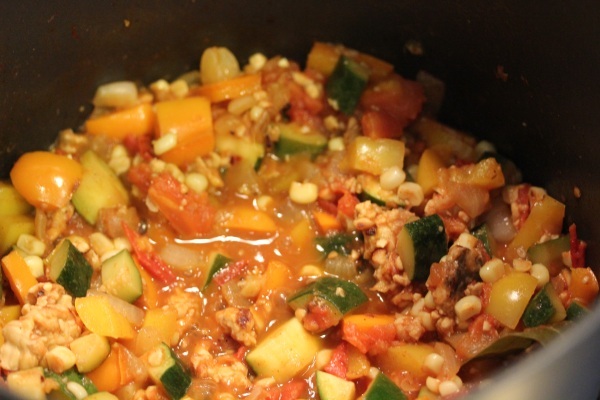 20 minutes later, my bright-colored summer chili is served. It was wonderful, a little spice and savory aromas from the bay leaf and very filling. Tempeh crumples nicely into chili absorbing the spice flavors while simmering and I don’t think this recipe needed the beans, they would have made it too heavy. 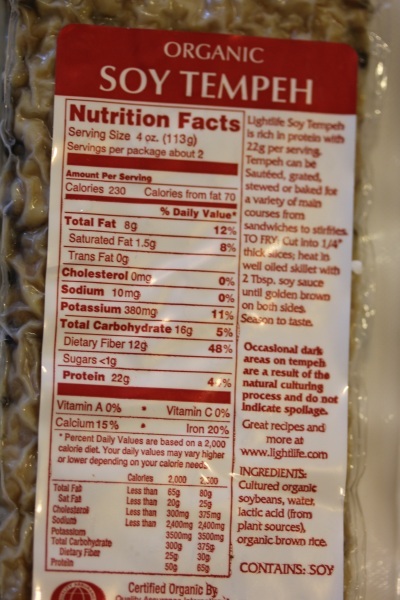 Since tempeh is such a powerhouse source of protein and fiber already, why bother? Now if you’ll excuse me, time to grab a glass of wine and celebrate this week almost being over. Stay tuned for an upcoming giveaway! 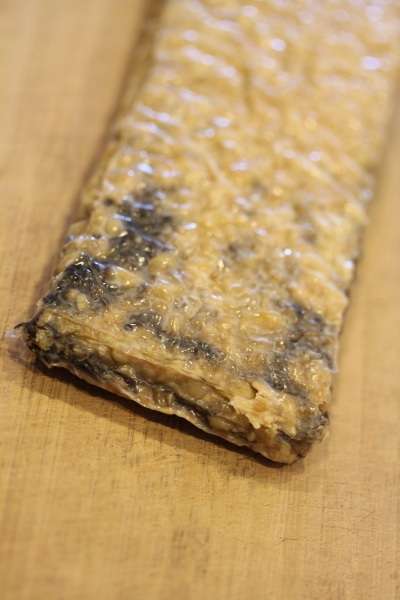 I’m glad to see that your tempeh gets black like that too– always weirds me out a little! here here to this week being almost over! i am ready…..and ready to hear baout your giveaway!